According to the Common Sense Model of self-regulation, cancer survivors construct perceptions of their illness as a (mal)adaptive mechanism. These perceptions might impact on health care use. We aimed to explore the association between illness perceptions and health care use in stage I–II endometrial cancer (EC) survivors, and whether these associations differed by time since diagnosis. A survey was conducted in 2008 by the population-based PROFILES registry among EC survivors diagnosed between 1999 and 2007. Survivors (n = 742, 77% response) completed the Brief Illness Perception Questionnaire (BIPQ) and questions on health care use in the past 12 months. Clinical data were accessed from the Netherlands Cancer Registry. Multiple logistic regression was used to evaluate the relationship between illness perceptions and health care use. Between 15 and 22% of the survivors had negative illness perceptions. 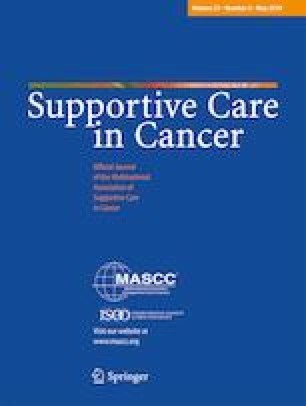 Survivors with more negative perceptions on consequences, timeline, treatment control, identity, cognitive representation, concern, emotion, and emotional representation were more likely to make ≥ 1 visit to their family physician/general practitioner in relation to their cancer when compared with survivors with more positive illness perceptions. More negative perceptions on consequences, timeline, identity, and concern were associated with ≥ 2 general or cancer-related visits to the medical specialists. The association between negative illness perceptions and health care use was more prominent among long-term (>5 years post-diagnosis) EC survivors. Negative illness perceptions among EC survivors were associated with higher health care use. For individuals with maladaptive illness perceptions, visits to their health care provider may reduce worry about their illness. Future research might address the effects of intervening in maladaptive illness perceptions on use of health care in this category of survivors. The online version of this article ( https://doi.org/10.1007/s00520-018-4451-3) contains supplementary material, which is available to authorized users. We thank all survivors and their doctors for their participation in the study. The funding sources were neither involved in the collection, interpretation, and analysis of the data, nor in the decision for the writing and submission of this report for publication. The present research is financially supported in part by a Social Psychology Fellowship from the Dutch Cancer Society to Dr. Nicole Ezendam (UVT 2014-6632). Data collection for this study was funded by the Netherlands Comprehensive Cancer Organisation, Eindhoven, The Netherlands; the Center of Research on Psychology in Somatic diseases (CoRPS), Tilburg University, The Netherlands; and an investment subsidy (#480-08-009) of the Netherlands Organization for Scientific Research (The Hague, The Netherlands).